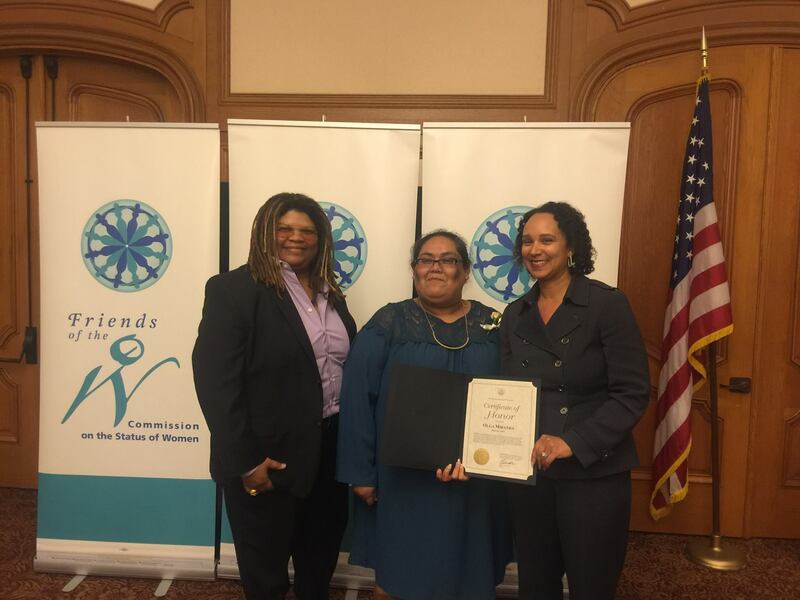 This week, to celebrate International Women’s Day, the City and County of San Francisco honored three incredible labor leaders. Never in my time at the Labor Council have this many labor leaders been honored on one day. But it was the three women whose dedication to the Labor Movement made this day even more historic. Mayor Ed Lee honored Olga Miranda for her leadership as an organizer and as the president of Service Employees International Union Local 87, San Francisco’s janitors union. Her years of fighting for good wages, health care and retirement benefits for the thousands of her mostly-immigrant members is legendary. 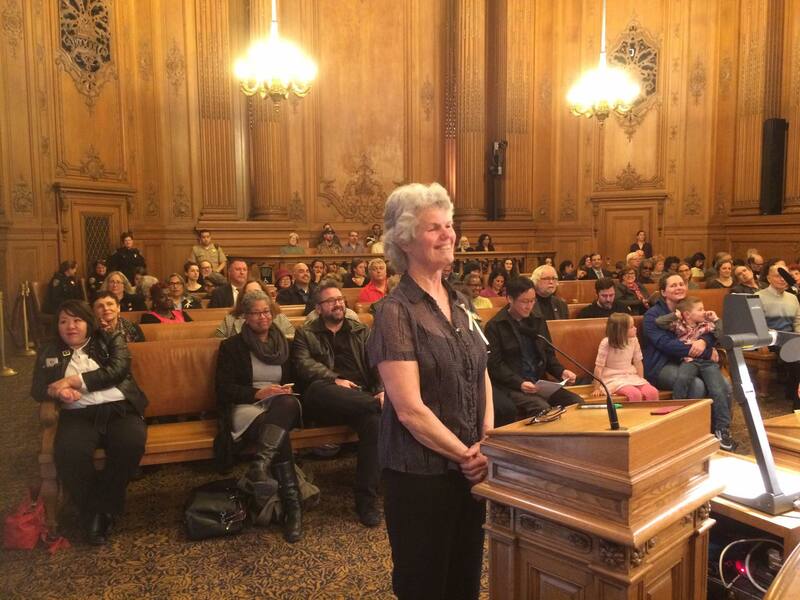 Olga is also the elected Secretary-Treasurer of the San Francisco Labor Council. I first met Olga Miranda when I was the organizing and political director for Justice for Janitors back in the 1990’s and it has been wonderful to see her work ethic and dedication to the Labor Movement recognized this week. Most of our country doesn’t know the time and devotion it takes to be a labor representative – how much time it takes to take on the bosses so members have union representation and a voice at work. Olga has managed to maintain that dedication working 10-12 hours a day, often 7 days a week, while also being the mother of Joaquin, her son with her husband. Olga was also honored in Sacramento this week as Woman of the Year by the California State Assembly for her political and member organizing. 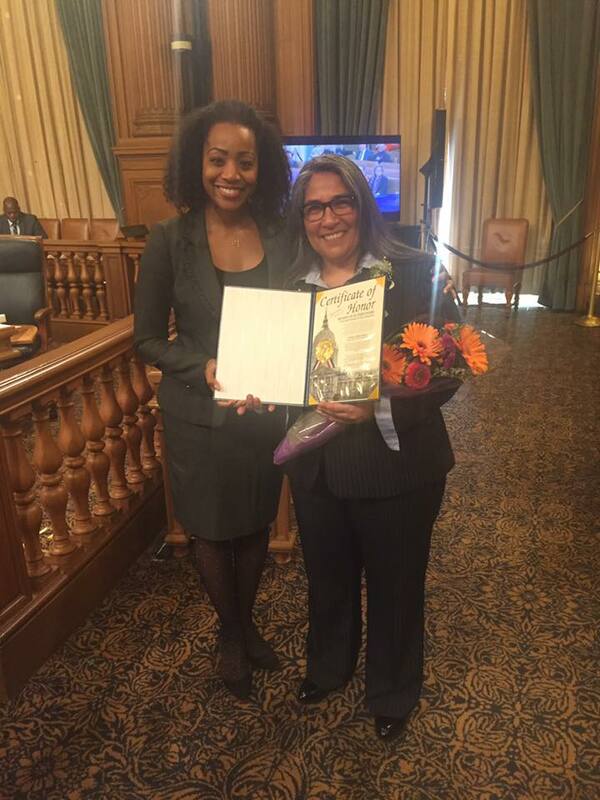 Supervisor Jane Kim and Board President London Breed honored Conny Ford, former Secretary-Treasurer of Office and Professional Employees Local 3 and current Vice President of Community Activities of the San Francisco Labor Council, as a “Trailblazing Woman in Labor and Business,” a centerpiece of San Francisco’s Women’s History Month. Conny has been instrumental in founding San Francisco’s branch of Jobs with Justice, a coalition of labor unions and community organizations dedicated to expanding economic justice for all workers, whether covered by a union contract or not. This new coalition has been controversial but game-changing for labor and community in San Francisco. Its work has brought broader coalitions with the Labor Council that led to passing the highest minimum wage in the country, the first Retail Worker Bill of Rights, and the Fight for Free City College, which resulted in free tuition for San Francisco students. Conny Ford was a lead in all these campaigns and currently works with the Labor Council as campaign coordinator for our small, emerging nonprofit, sfCLOUT, which is dedicated to workforce development and housing justice. FYI: The San Francisco Labor Council is an OPEIU shop. These historic commendations for our female colleagues were even more special in this new era of unimaginable attacks on civil rights and economic justice. And the recognition that the Labor Movement wouldn’t exist without women is as powerful a statement that a City can make to our entire community. Thank you, Olga, Conny, and Sabrina! And to all women who take the risk to stand up and fight for economic justice.